Maruti Suzuki, Country’s top car maker will be officially launching the much awaited 2018 Ciaz Facelift Tomorrow i.e. on 20th August 2018. 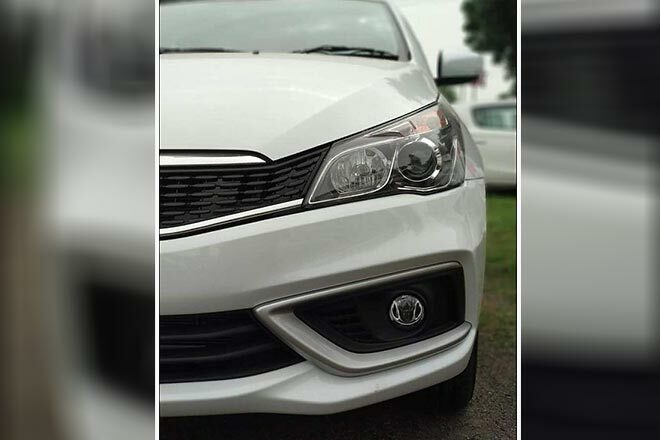 Last year, Maruti Suzuki moved their popular Ciaz sedan from Maruti Suzuki Arena Channel to NEXA channel projecting the car as a “Premium offering”. For this year’s festive season Maruti Suzuki is all set to present its customers with a brand new updated Ciaz that comes with new design upgrades and features. The segment “Sedan” still holds it glory among the car enthusiasts in India. There are few benchmark cars in the sedan segment like Honda City and Hyundai Verna from quite sometime. To add more competition to premium sedan segment Toyota too has brought in the “Yaris” sedan this year. 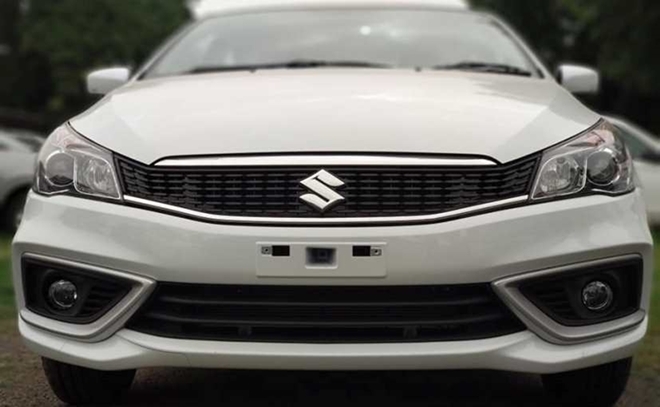 Ciaz is one of the best selling cars in the sedan segment coming from the brand Maruti Suzuki and we will have to wait and watch if the updated Ciaz facelift can do a magic and woo new customers this time. 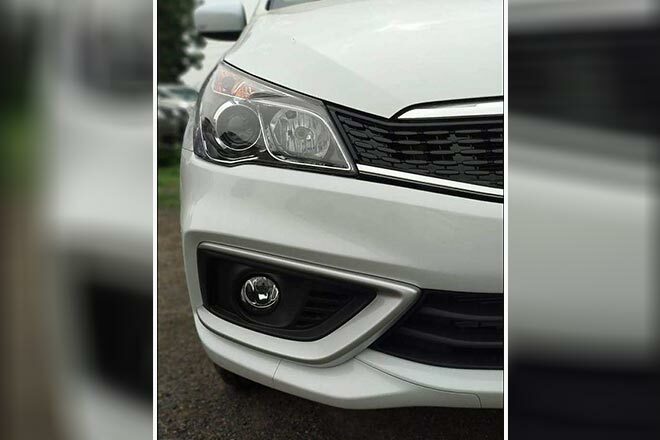 The leaked images of 2018 Ciaz depicts few key changes and updates like new front grille in the front with LED projector headlamps along with LED DRLs ( Day-time running lamps). The car is also updated with new type of tail-lamps that has a resemblance to that of Luxury cars. 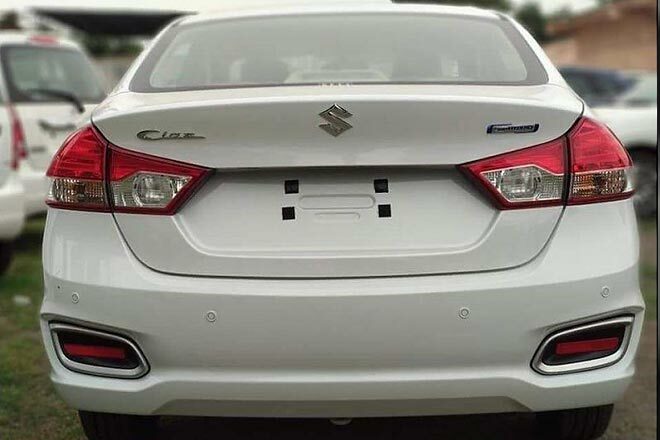 The all new 2018 Maruti Suzuki Ciaz is expected to get a new 1.5 litre 4-cylinder petrol engine along with the 1.3 litre diesel DDiS Engine. Maruti might also launch the AMT gearbox for both of these variants. The Ciaz facelift bookings are already open and it rivals head to head with Hyundai Verna, Honda City and Toyota Yaris. Mr. R.S Kalsi, Senior Executive Director (Marketing & Sales) and Mr. CV Raman, Senior Executive Director (Engineering) will be present during the launch event of 2018 Ciaz which is happening in Bengaluru on 20th August 2018.